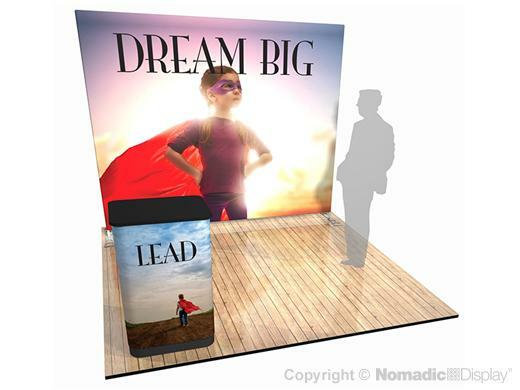 Big and bold, FabLite is also our most affordable portable fabric trade show display. With the flat frame completely encased, your audience can focus on your brand’s message. Custom-tailored to fit and provide a smooth finish, each graphic pillowcase comes standard with printing on the front side and features black fabric on the back for opacity. In addition, you also have the option to print double-sided as well. Plus our dye sub fabric graphics are wrinkle-resistant, durable, and washable.